Every Saturday at 4.30 pm throughout the year you are warmly invited to attend a concert in the cathedral. The “L’Oasis Musicale” weekly concert series supports and promotes local musicians, many of whom are studying at music colleges in Montreal and starting out on their career. The concerts are open to all and there is no entry charge, and the Oasis team hope you will so enjoy the concert that you will be delighted to make a free-will offering of $10 to support the concert series, the artists and the mission of the cathedral. The concerts feature a range of musicians, from solo instrumentalists and singers to ensembles, small orchestras, and choirs. The repertoire is mainly classical music, but occasionally you might hear some popular, folk, religious, or traditional music. 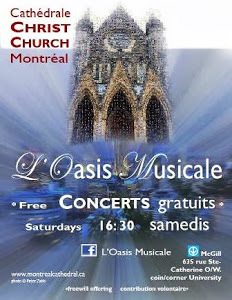 L’Oasis Musicale seeks to preserve and develop Christ Church Cathedral as an important spiritual and cultural venue in the heart of downtown, to attract new audiences to the concerts and new visitors to the cathedral, and to support and encourage local musicians. If you are interested in finding out more about L’Oasis Musicale or in performing in a L’Oasis Musicale concert, please contact us. Christ Church Cathedral is able to provide performers with a well-supported venue and publicity assistance. The Cathedral’s beautiful, resonant space regularly welcomes performances of all kinds. Some highlights of the 2018-2019 season have been a piano studio concert from the UQAM music department, a performance of Inuit songs from the Société de Musique Contemporaine du Québec, two performances by Pronto Musica, Montreal’s leading training orchestra, and the sixth annual Earth Hour concert presented by the Choeur des enfants de Montreal. 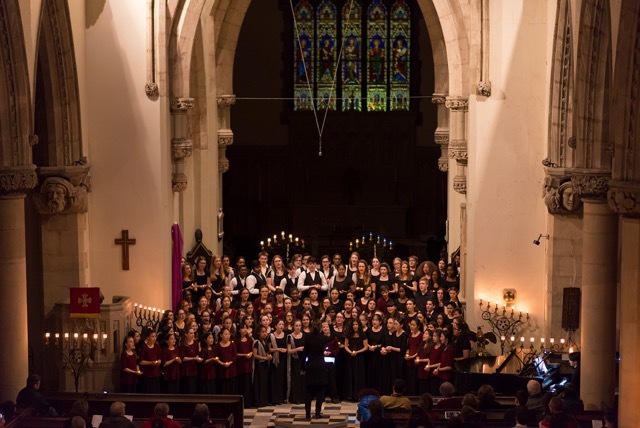 Is Christ Church Cathedral the right place for your next concert? Fill out the enquiry form to get a quote! For details regarding the Cathedral space, please download the Venue Guide.